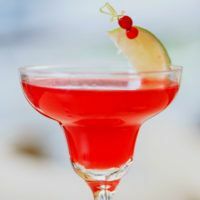 The Scarlett O’Hara drink is a tart, fruity cocktail. It’s perfect for after dinner or on a long hot summer afternoon. Its popularity has declined in recent years, but it’s overdue for a revival. There are several Scarlett O’Hara drink recipes available. But the one that’s considered best uses Southern Comfort, cranberry juice and lime. Other variations on this recipe use grenadine instead of cranberry juice. Others use peach liqueur instead of Southern Comfort. But it just seems wrong to make a drink called the Scarlett O’Hara without using Southern Comfort. The cranberry flavor dominates the Scarlett O’Hara drink. 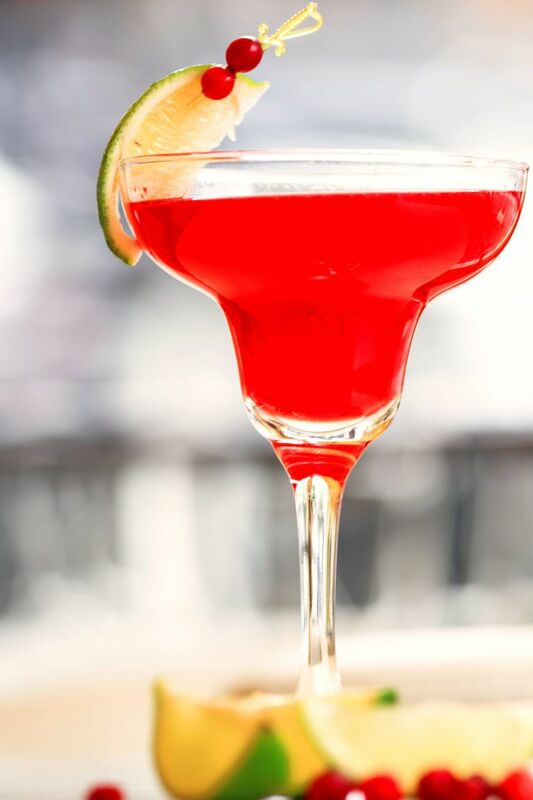 It’s tart and refreshing, with that intense berry flavor you love from drinks like the Cosmopolitan. The Southern Comfort adds notes of whiskey, fruit and spice. It comes in various strengths, all of which taste roughly the same. For this drink, you want the strongest version. It’s the only alcohol in the drink, so it needs to be at full strength. This is definitely a drink to sip and savor. It’s wonderful in warm weather. Especially with all that fruit juice to give you some hydration. You don’t need to buy a special cranberry juice for this one. It just needs the typical cranberry cocktail you find in the grocery store. 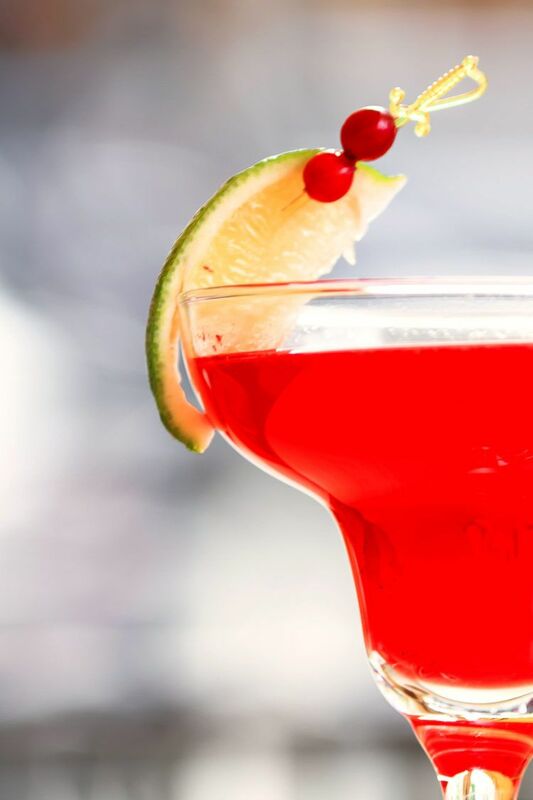 Some cocktails benefit from pure 100% cranberry juice. But that flavor would probably be too dry for the Scarlett O’Hara drink recipe. The cranberry juice cocktail is the only real sweetener in this drink, so it needs to be the regular version that includes some juices from sweeter fruits along with the cranberry. The lime in this drink gives it an exciting citrus note. Ideally, you should use fresh limes instead of bottled lime juice. The bottled lime juice is fine when it’s all you’ve got. But but a fresh-squeezed lime adds a much more intense, sharp flavor. This recipe calls for a “dash” of lime, which is open to interpretation. Some people just add a few drops while others put in a teaspoon or more. It’s all a matter of taste. But it’s likely that one lime will give you enough juice to make at least four Scarlett O’Hara drinks. More if you’re not wild about adding much lime to your cocktails. And it’s so easy to add fresh fruit juice. Just cut a lime in half, put one half in a citrus squeezer, and squeeze. It takes a little bit of hand strength, but it’s easier than you might think. If you have trouble with your hands, such as arthritis, it’s worth getting an automatic citrus juicer. They do all the work for you. It can also squeeze out more juice than the hand squeezer. Whatever you do, don’t use sweetened lime juice from a bottle. Well… unless you’re using pure cranberry juice after all. Then you might need the sweetness. 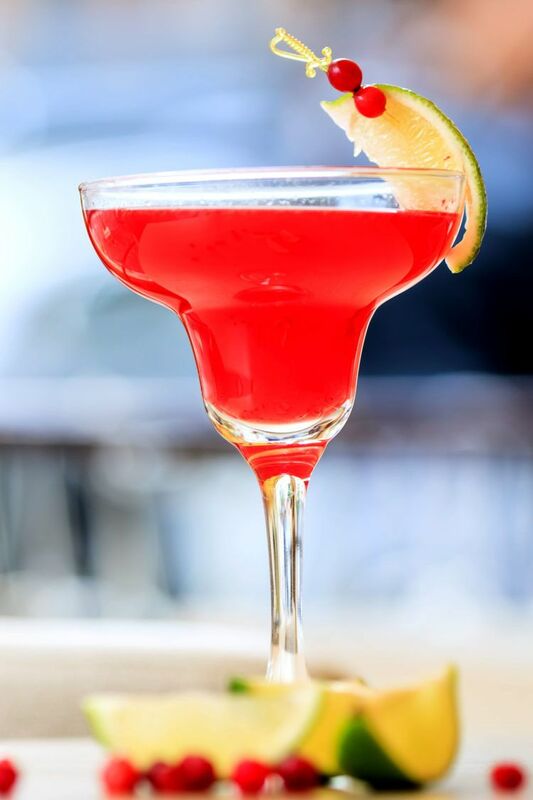 If you enjoy the Scarlett O’Hara, check out the Alabama Slammer. It’s sweeter and more mellow, but with a good quality sloe gin, it’s just as tasty. Or try our own Sax on the Beach. It’s an even lighter, more refreshing cocktail. It features sparkling water and Patron Citronge. Are you hoping to enjoy this drink with a meal? Try this Sautéed Rainbow Trout with Kale and Dried Cranberry Salad from Fresh Fish Kitchen. The cranberry from the salad goes well with a cranberry juice cocktail. Another nice option would be this Balsamic Peach Chicken Skillet from Cooking Classy. It’s an easy one-dish meal you can serve with rice or couscous or quinoa. 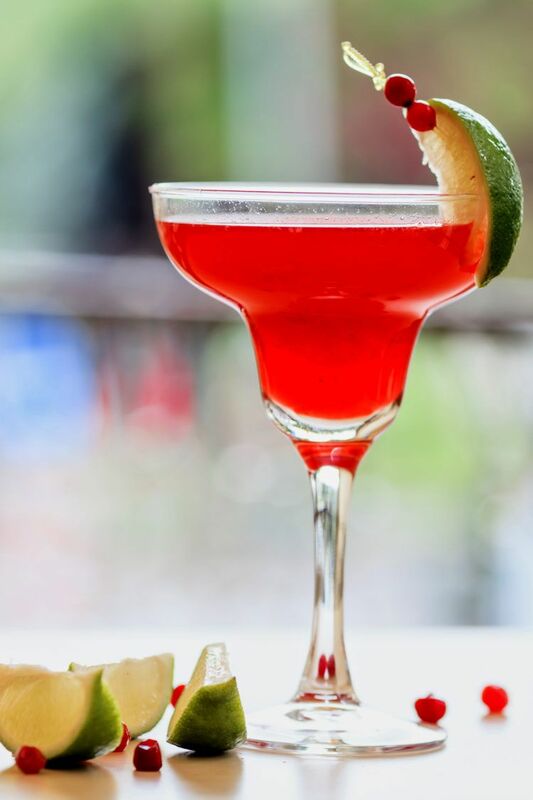 The Scarlett O'Hara drink combines Southern Comfort with lime and cranberry juice. 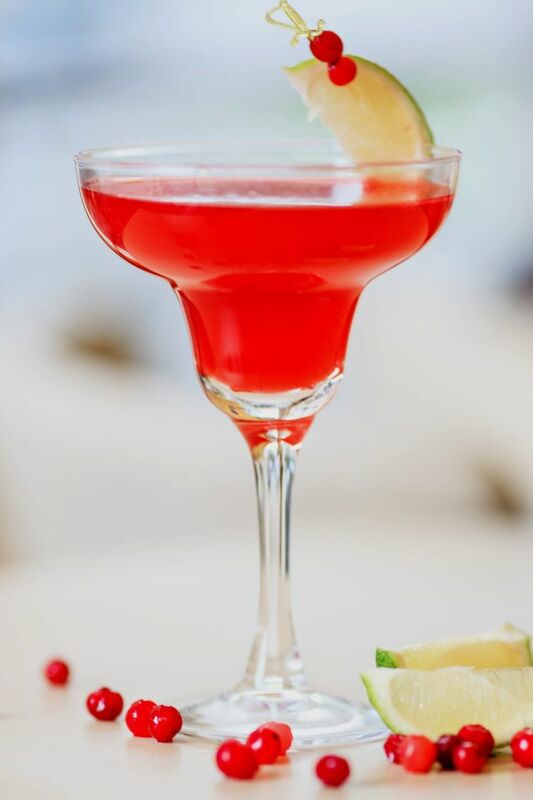 It's a refreshingly tart and fruity cocktail recipe that's wonderful for anytime. Pour in the Southern Comfort, lime juice and cranberry juice. Strain into a sour glass or Collins glass. Thank you for the shoutout! The dried cranberry and fresh kale salad with sautéed rainbow trout would definitely pair wonderfully with your delicious cocktail. And thank you for the recipe! I’ve been looking for more to do with trout lately. Such an underappreciated fish.